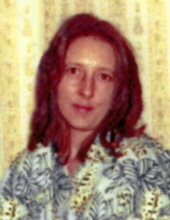 Mrs. Brenda Sue Meadows, 61 of Mt. Vernon, passed from this life on Friday, February 15, 2019 at the University of Kentucky Medical Center in Lexington following a brief illness. She was born on July 1, 1957 the daughter of Ovie and Annie Carpenter Jones. She was a loving wife, mother, grandmother, sister, and aunt. She will be missed by all who knew and loved her. She is survived by her daughter, Jennifer Brown and husband Mark of Mt. Vernon; her sons, Eddie Callahan and wife Machelle Decker-Callahan of Mt. Vernon, and Frankie Meadows of Berea; and four sisters, Ida Tankersly and husband Billy, Ella Gray and husband Chuck, Jean Bullock, and Dora Lou and husband Rocky, all of Mt. Vernon. Also surviving are grandchildren, Chris Decker, Brandon Bussell, Sydney Brown, Shelby Brown, Alex Jarmillo, Savannah Meadows, Christian Jarmillo, Drake Callahan, Daylan Meadows, Arionna Vilisuerte, Sierra Meadows, and Patricia Tarivio; and great grandchildren, Leyton Decker, Nora Rainn Bussell, and Abel Brewer. In addition to her parents, she was preceded in death by her beloved husband, Johnny Meadows; her children, Rodney Meadows and Amanda Meadows; a great grandson, Lynnox Decker (#TeamLynnox) ; a brother, Arthur Jones; and sisters, Viola Jones and Georgia Adkins. To plant a tree in memory of Brenda Sue Meadows, please visit our Tribute Store. "Email Address" would like to share the life celebration of Brenda Sue Meadows. Click on the "link" to go to share a favorite memory or leave a condolence message for the family.